Icicle Floor Lamp Product Size: 10″W. x 67″H. (in.) Product Weight: 20 lbs. Icicle Floor Lamp Product Size: 10″W. x 67″H. (in.) Product Weight: 20 lbs. More Information Cylindrical frosted sconces create a soft glow, accenting the modern design of the tubular chrome arms on these futuristic lamps. If you like contemporary but want to keep it subtle, the Icicles are the perfect choices. 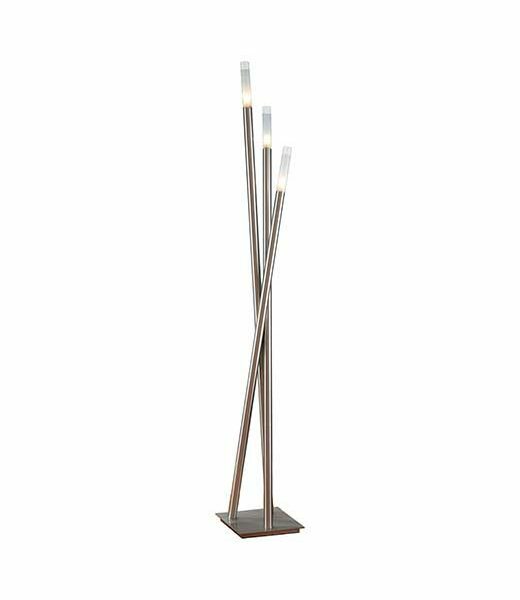 Complement the Icicle floor lamp with the table model. Uses 40 watt halogen bulbs.